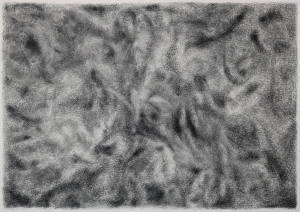 Inspired by the confusion and disorder that occupy our minds, I take turbulent motions found in nature and adopt them as hand gestures to create drawing-paintings. 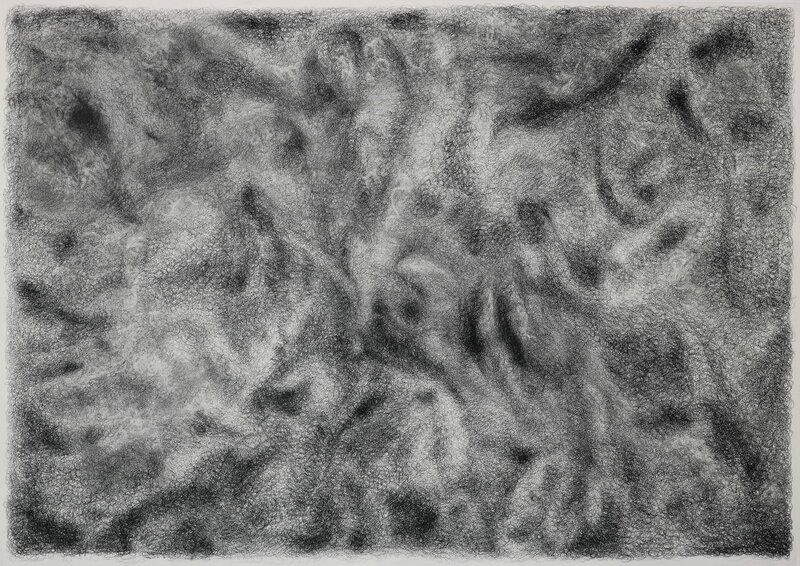 Through mind-numbing repetition, I lay marks over one another, letting the process take control of the creation of dense atmospheres. 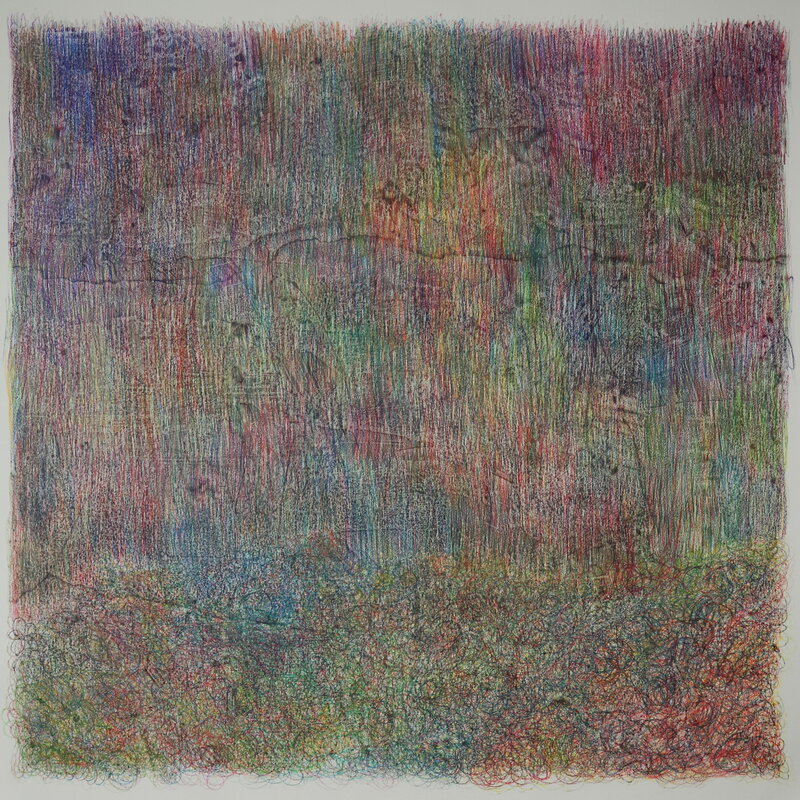 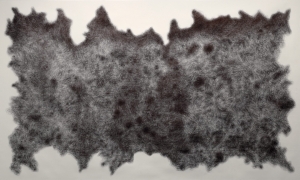 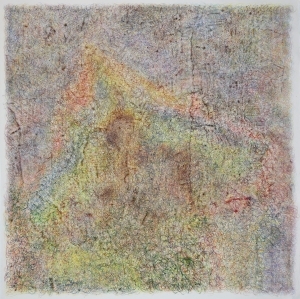 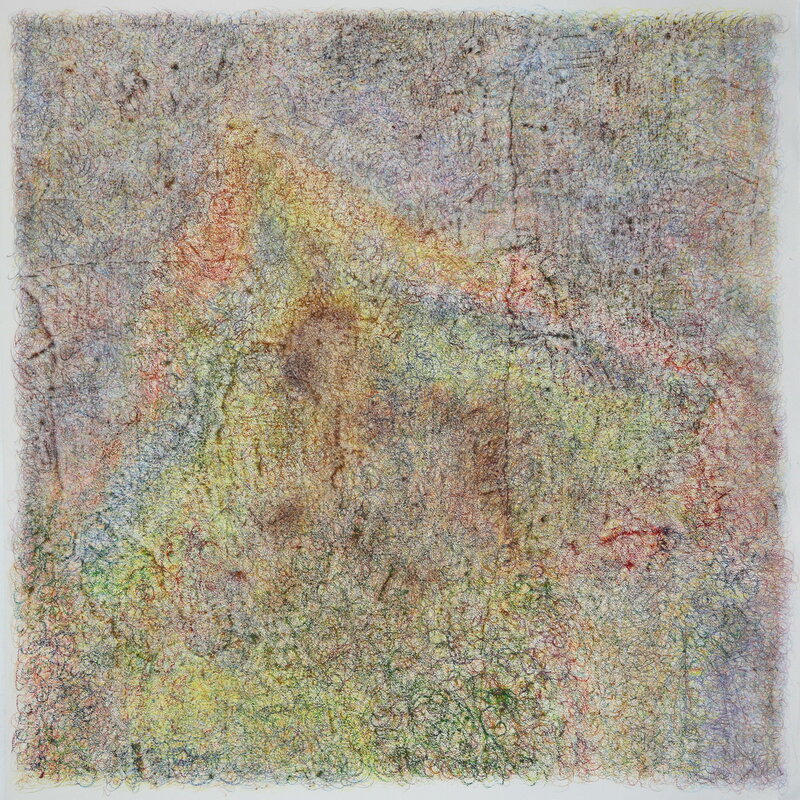 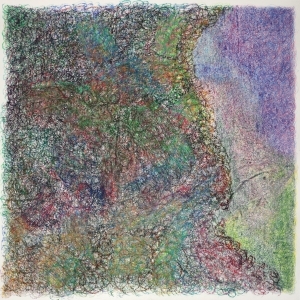 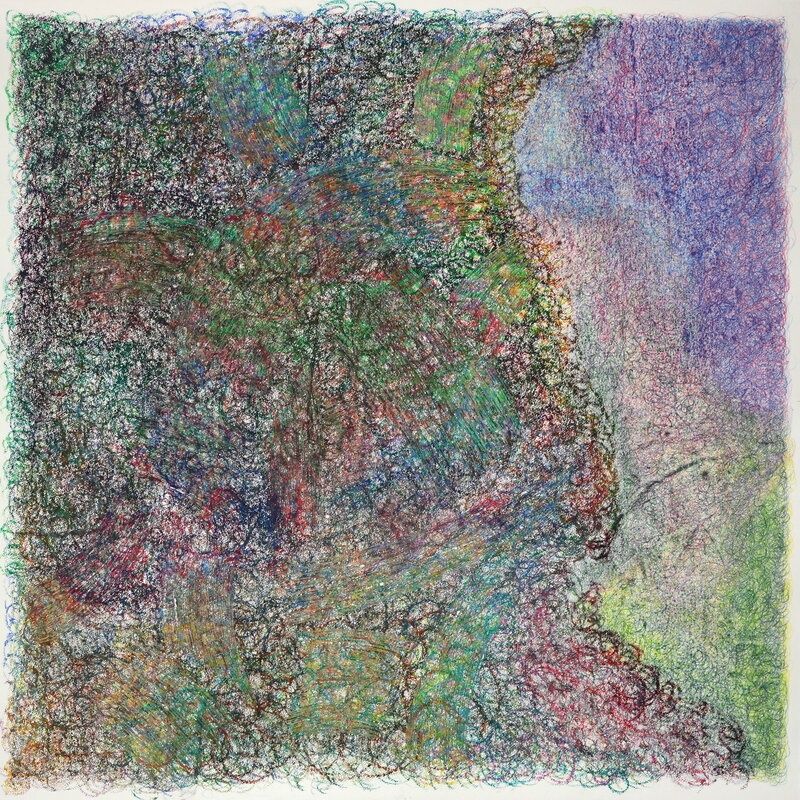 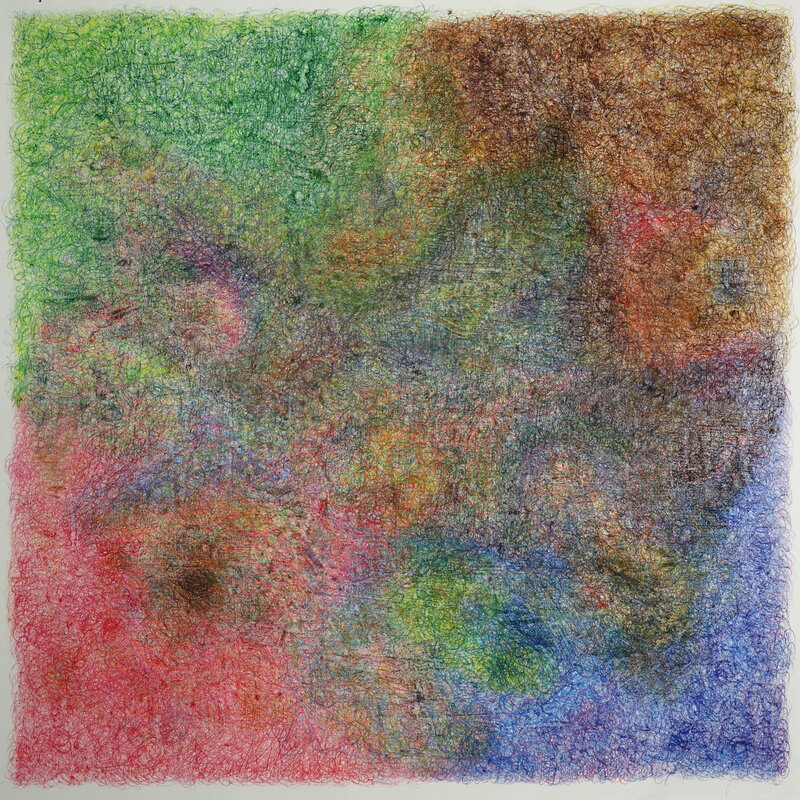 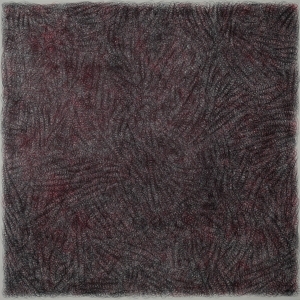 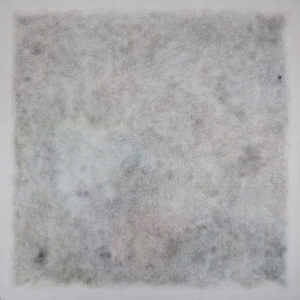 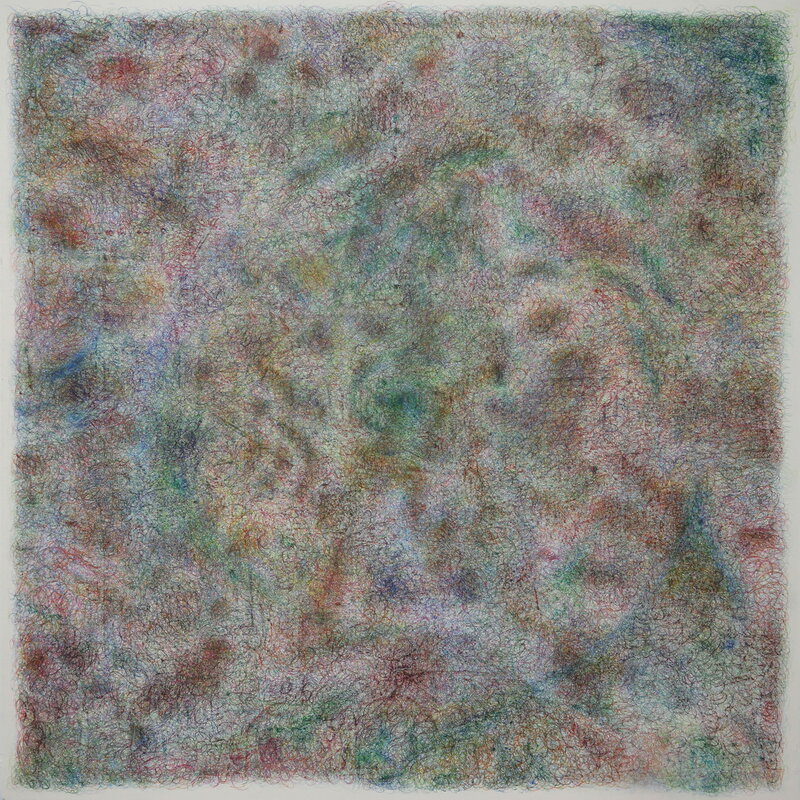 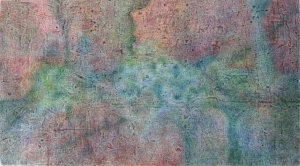 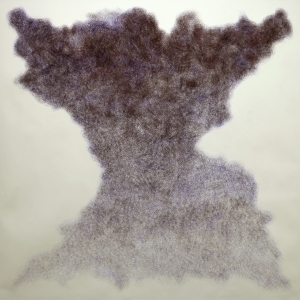 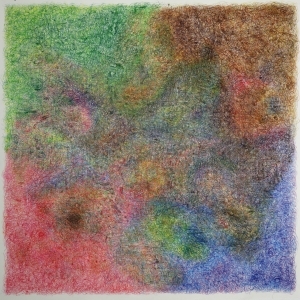 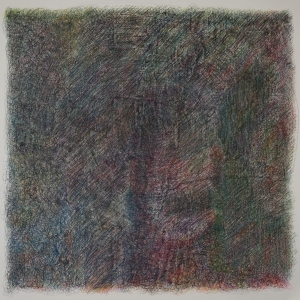 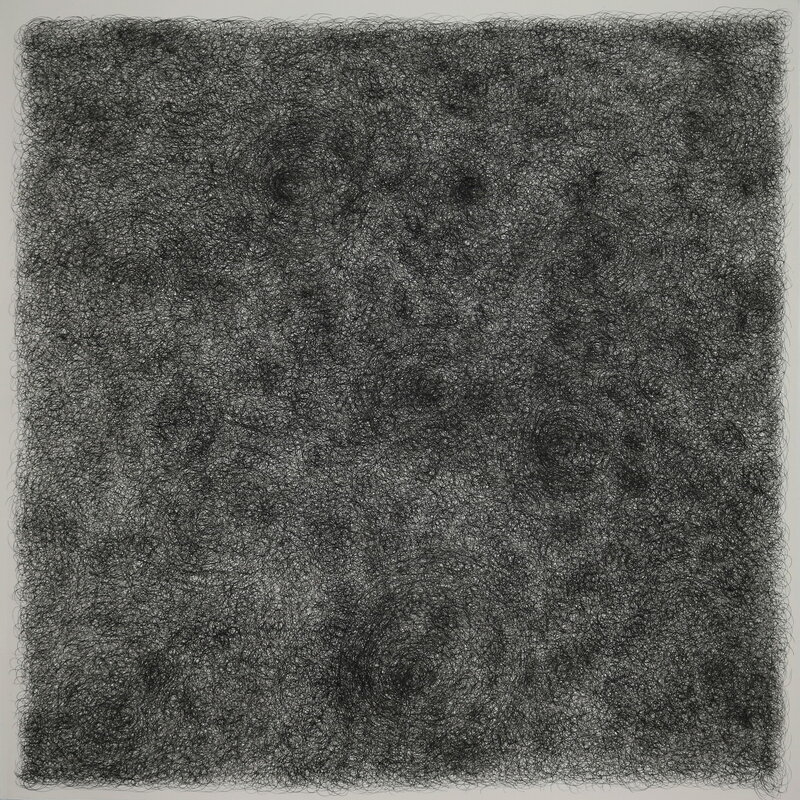 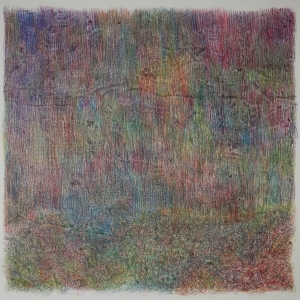 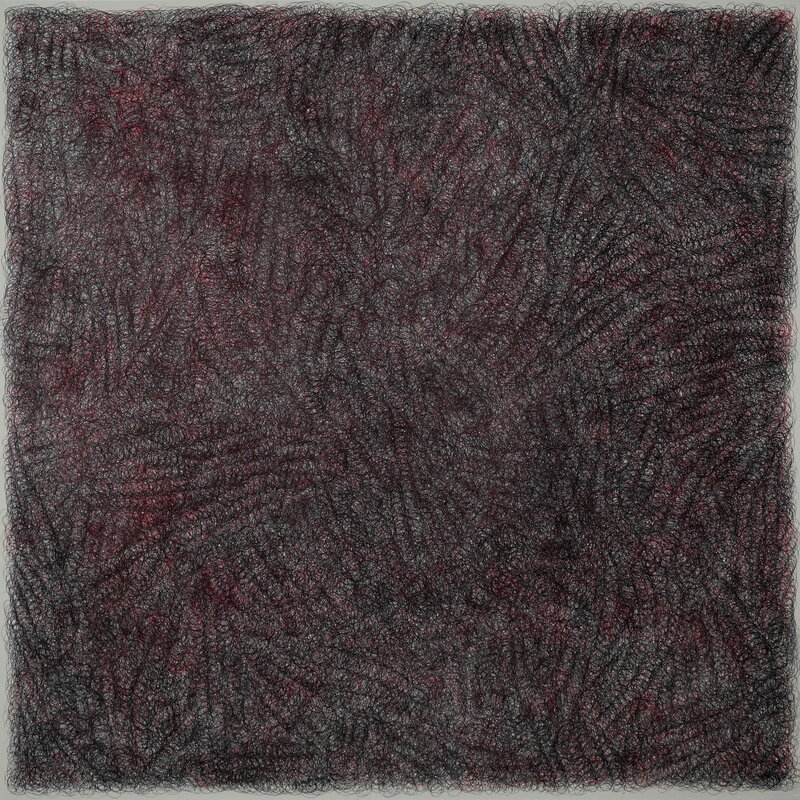 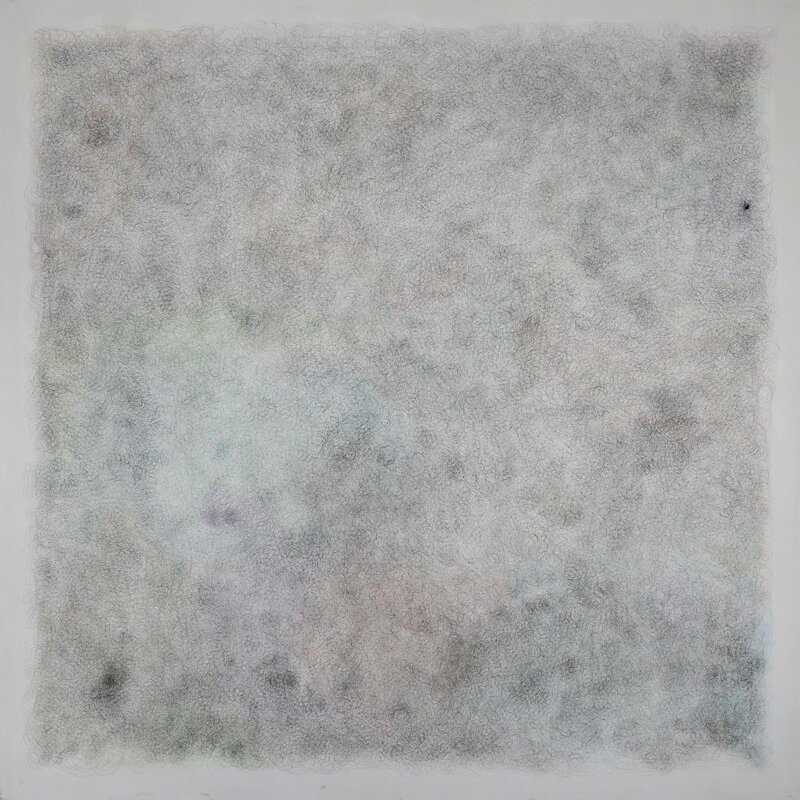 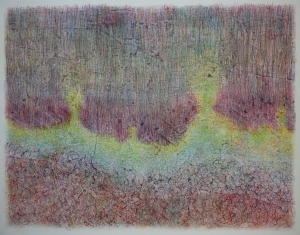 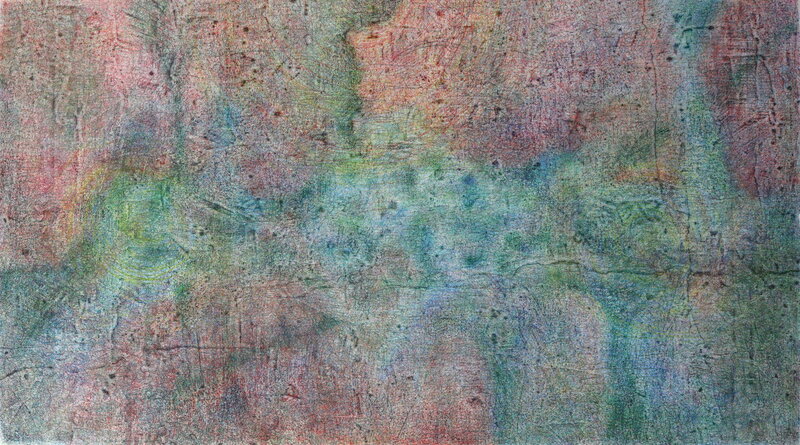 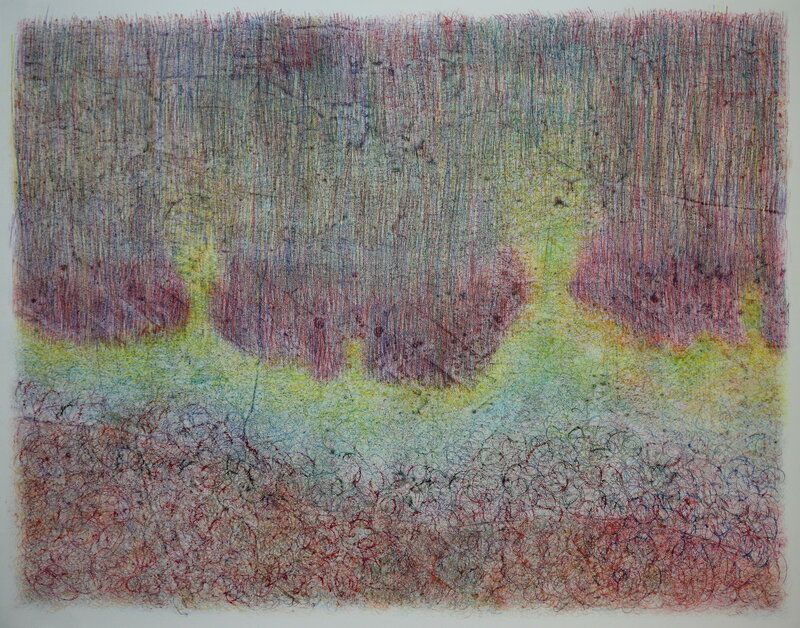 This labor-intensive meditative process allows both the artist and the viewers to get lost within the myriad of marks. The textural and topographic otherworldly scenery that arise from the parallel between image and process are open for interpretation.